I’m not a life long survivalist. In fact I just recently got into prepping. I don’t have a basement full of food and gear, though at the rate I’m starting to collect stuff, that’s not far off. What I do have is a background in outdoor experience. While I have been reading and learning about the survivalist and prepper lifestyles, I’ve learned a ton, but it also made me remember how it feels to dive into a culture where everyone you hear from seems to know more than you. 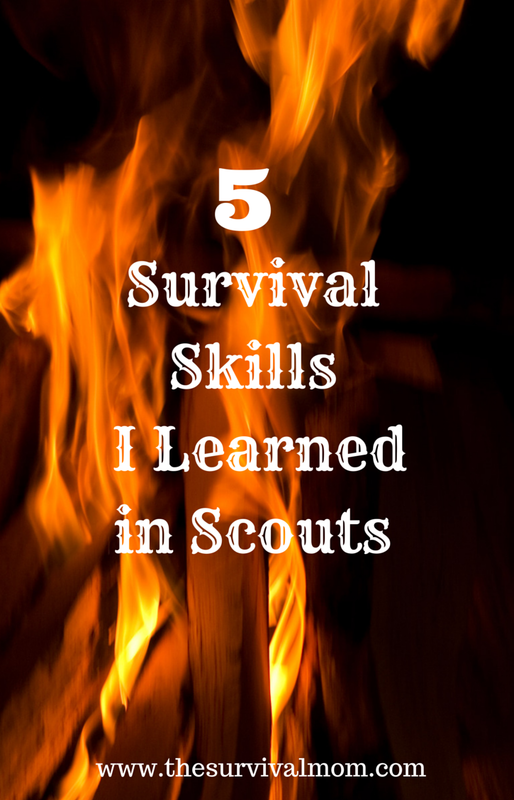 So I thought I would share a few basic and useful survival skills from my years in Scouts, all life lessons learned the hard way. Whenever you are using a knife, saw, hatchet, ax, tomahawk, or any other item that has the slightest semblance of a blade cut away from yourself. Imagine missing what you are aiming at. Where will the blade go? I’ve seen enough young scouts nearly lop themselves off at the ankle, and watched my brother run a small pocket knife the better part of the way through his palm to know this is a very real concern. This sounds like childish safety, but in a survival situation an infected cut or a large gash could be the worst mistake of your life. People, especially people inexperienced with the outdoors, inevitably underestimate the amount of daylight remaining. A good rule of thumb is, dark starts at noon. In everyday life 3 p.m. is the middle of the afternoon, but outdoors it’s high time you were selecting a camp site and starting a fire. Setting up your shelter in the dark is not fun, cooking even less so. I’ve done this more times than I can count. 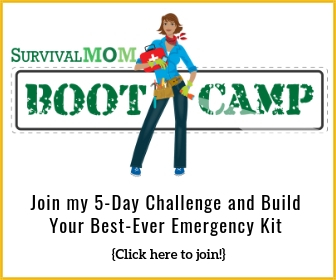 In a survival situation, what if you don’t have an immediate food source? If you have to scavenge, daylight is infinitely better. There’s no two ways about it. Fire is fun. The bigger the better. Bug Spray fireballs? Sure! There are few things as manly as building a massive campfire just because you can, but in a survival situation you need to carefully consider just exactly how much fire you need and go no further. First, wood collection and preparation is a serious calorie expenditure that you cannot be wasting on a big fire just to look at. Second, a fire of any size is easy to see from miles away. Since you may be trying to avoid unwanted guests, the smaller the better. If you can boil water and stay warm, it’s big enough. As you might imagine, a bunch of 12-16 year old Boy Scouts who have been on the trail all day, set up camp, cooked dinner, and are relaxing around the fire might be even less apt to do the dishes after dinner than at home. If that is possible. Yes, it is extremely temping to jump into your warm sleeping bag and worry about boiling water and digging out the soap tomorrow, but you need to do the dishes now. Aside from the obvious get-it-over-with, in a survival scenario the strong possibility of growing bacteria in something you will be eating out of indefinitely is stupid and not worth the risk. Not to mention the threat of attracting wildlife you really don’t want. Even if it’s 12 degrees and snowing, you are perspiring. In a cold weather survival situation, you need to conserve body heat or it could mean your life. So, when you crawl in your bag for the night, strip off everything, I mean absolutely everything, you were wearing. Even if you can’t feel it, all of your clothes are sweaty. Throughout the night that sweat (water) will get very cold and make you even colder. Put on clean dry clothes right before bed. If you have a decent bag, you can sleep naked as long as you are dry and cover your head and feet. I know how terrible that idea sounds when you can see your breath inside your tent, but it’s worth it in the long run. I spent several long cold nights before I learned that one. Inside your shelter, especially a tent, you need ventilation. The more the better in fact, and it works for both weather extremes. Obviously, in the summer a breeze through the tent is going to keep you cooler. The one that’s hard to believe is ventilating your shelter in the winter. It’s temping to think that you can bundle all of your warmth by keeping the tent closed up tight, but it doesn’t work like that. Throughout the night your breath and body heat will condensate, and without ventilation will leave the inside of your tent wet, and thus colder. I know it seems backwards, but waking up really damp and wet is not a fun way to start your day. Again, in a survival situation that could be the start of hypothermia, which you cannot afford. Article contributed by Lucas, founder of Survival Cache blog. Take care of even minor injuries NOW or they will become worse later! Raven, I think that advice is more important now than ever. Who knows what changes this new health care bill will bring and staying healthy and rarely needing to see a doctor may be the best advice of all. Well, I was reminded of that when I watched 'After Armageddon'. One of the main characters in that documentary got a minor cut on his hand. It got infected, and with no antibiotics, it killed him. I do see that as completely plausible. I agree about the healthcare situation. I think it is going to get scary. Health is going to be everything in a few years. I helped with an Eagle project this summer. We were expecting to help with moving things, but they had enough volunteers for that and we were moved to help with clearing brush from the overgrown side of a dam. I got a small scratch on the back of my knee that I hardly noticed. I also got wicked poison ivy all over my legs and forearms, which weren't covered since I wasn't expecting to be out in weeds. I spent hours standing at an angle with that knee closed and sweaty. Anyone guessing where I'm going with this yet? I got prednisone to help with the poison ivy. Unfortunately, it has the side effect of making you more vulnerable to infections. After two days on it, the infection on the back of my knee was about the size and color of an eggplant and I was so exhausted I could barely move within days of getting that tiny scratch. I spent two weeks on anti-biotics and it took the entire two weeks to get back to moving and functioning normally. Now, imagine that medicine hadn't been available because I don't want to. As sick as I got as quick as it was, I doubt I'd still be here, all from a tiny scratch from a bush I hardly noticed at the time. Lucas was probably the star pupil in his troop! He has a ton of great info on his site. Great, useful story from Lucas! As a scout volenteer, I see common sense lessons like this taught frequently, and it's nice to know the knowledge is retained so well! Excellent tips. Thanks for passing them along. Good stuff. Especially the ventilation. Tie a good secure knot. Untie a good secure knot. cook a meal on a tiny fire. cover your waste. (actually, I learned this one from a cat). expand your view of what constitutes "edible". You can get someone to wash the dishes for you in exchange for cookies. Answer to Post – 1. Increase in Natural Disasters; 2. Increase in Unemployment or overall Economic Malaise; 3. At least one Major Attack by Terrorists &/or possibly War with a Foreign Country; and, 4. Domestic Unrest resulting in the declaration of Martial Law. I don't believe the world will end on 12/21/2012, but I do believe we are seeing "the beginning of birth pangs"…. 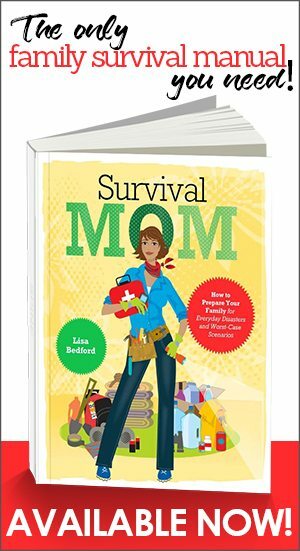 Thank you, Survival Mom for this column. 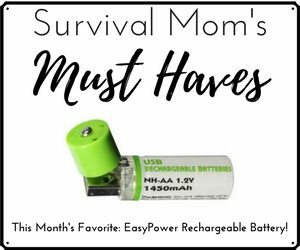 Hey Survival Mom, how about a thorough listing of any and all forms of anti septic or antibiotics. Alcohol, garlic, saltwater, Urine, Colloidal Silver, etc. Anything and everything that you can use to cleanse a wound and deal with infections afterwards. Have you moved yet to somewhere with more water? Best wishes! Prep up more!!!! Scouting was something I enjoyed as a youth. I especially loved back packing into the Idaho mountains. NOT cutting away from body parts is still something I see – even in adults! It’s scarry. I always warn them. Usually they listen. Stay vigilant. Thanks for a real dose of Scouts into the mix. As a closet prepper and a long time Scouter I find this encouraging. We often get sidelined or bashed, but there are some really good basic skills there for boys and girls (check out Venturing…) that will serve your family and community well. My 8 yr old grandson just signed up for Cub Scouts! Hope his Dad can help out, since I’m disabled, but I am raising him! This is gonna change his world! He has only been camping once, never without a family member! He is very health & safety oriented, which I think is unusual in a boy his age! He has been fishing once, too. Hope this gets him over wetting the bed! On clothing, the big thing I was taught was Cotton Kills. It’s great on a hot sunny day, keeps you cool. Unfortunately as soon as it cools off, it continues keeping you quite cool. In winter it does a great job keeping you cold. In SAR, when it’s cool out, we’ve seen in 2 or more people wearing cotton or non cotton clothes, the ones wearing cotton are usually much colder, chilled or hypothermic. The others are warm to cool. Medical – We were stuck at home, bad weather & trees down, and we were told it would be 3-4 days at least till we were able to get out. Day one – husband asks “Is this infected?” A 1/4″ deep 1 1/2″ cut on his lower leg was very red, with red streaks coming off it about 3-4″ long. Wonderful. I scrubbed it clean, was about to put an antibiotic on it, knowing it would not work well enough, and remembered I bought a 2 oz bottle of Schreiner’s Herbal Solution after it was highly recommended to me. I put some on a couple Q-tips and scrubbed it into the cut. Then I peeled him off the ceiling, gee I must have forgotten to mention it has an alcohol base. I used it aggressively every 4-6 hours, and the red started receding within 10 hours. I kept using it and in about 24-30 hours the cut was just a reddish line. The Herbal Solution is now our main/only antibiotic, it’s all herbal so no problems using it for all cuts & scratches to keep them from getting infected. We have it in our first aid/trauma kits and house. They have a website, and ingredient list. It’s obvious why it works so well. 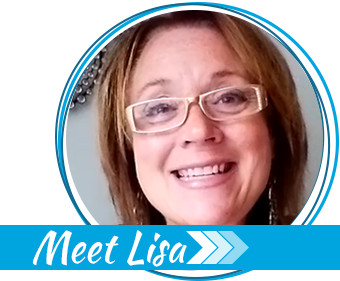 Scouting – I was raised on a cattle ranch, when I was about 11, a girl scout troop was formed in town. It was fun, the third month we had a camp out at a local farm. Leader decided to put the camp (3 largish tents) ON a narrow dirt trail, even tho the field was about 40 acres of nice flat land with some trees. I politely mentioned this was a livestock trail, and not good to camp on, how about over there? I was told I didn’t know what I was talking about. I tried again, was told to *shut up*. So after dinner & bedtime, I took all my gear, slipped out of the tent, and set up comfortably about 60′ away next to a tree. I slept well, and as I thought, at dawn about 20 cows strolled thru the camp, inside the tents, through (ripping) the tents, girls were having hysterics, running & screaming, cows were milling about & mooing, Leader was screaming, it was extremely entertaining. It looked like the Three Stooges, on steroids, with friends. I stayed put, and tried not to laugh. Leader had a fit when she saw my gear & I were fine and where I suggested camp be placed. I walked to the lead cow, and started to lead her out of camp and towards the creek where they were going, the rest followed. Since the cows kinda destroyed camp, we had to pack up and go home. I helped get things organized, and loaded, also helping unload. No one was hurt, just small scrapes & bruises at worst mostly self inflicted (running into tent poles, tables, cows… isn’t advised). The cows were fine also, just confused. Needless to say, as soon as the unloading and putting everything away was done, I got tossed out of Girl Scouts. I told my folks why we were back a day early, and I thought they were going to break ribs, they laughed so hard. Leader was not amused. Back home, Dad suggested I saddle a couple horses, he got a few bits of gear & food, and we camped out Sat & Sun. I have nothing against Scouting, it’s great. It also gave me one of my most memorable and hilarious camp outs.